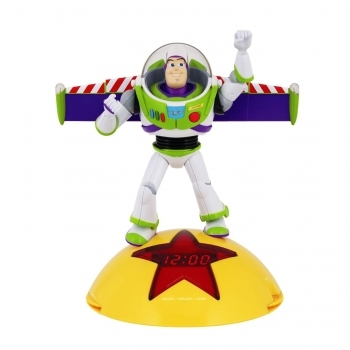 Perfect for your little Toy Story fan, this Disney Alarm Clock Radio has an alarm with snooze function, plus the option to select buzzer, radio or voice alarm. The alarm clock also features Buzz Lightyear phrases. An analog AM/FM mono radio makes this piece multi-functional.